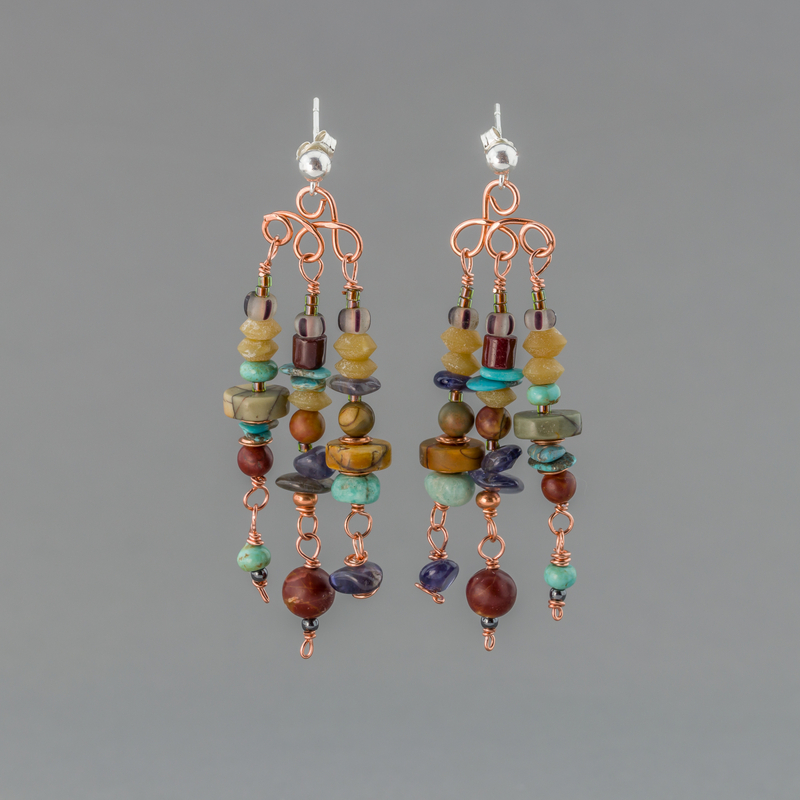 These long multi stone post chandelier earrings are a lavish pair of earthy earrings with jasper, turquoise, amazonite, magnesite, jade, and iolite natural stones, and glass and copper beads. 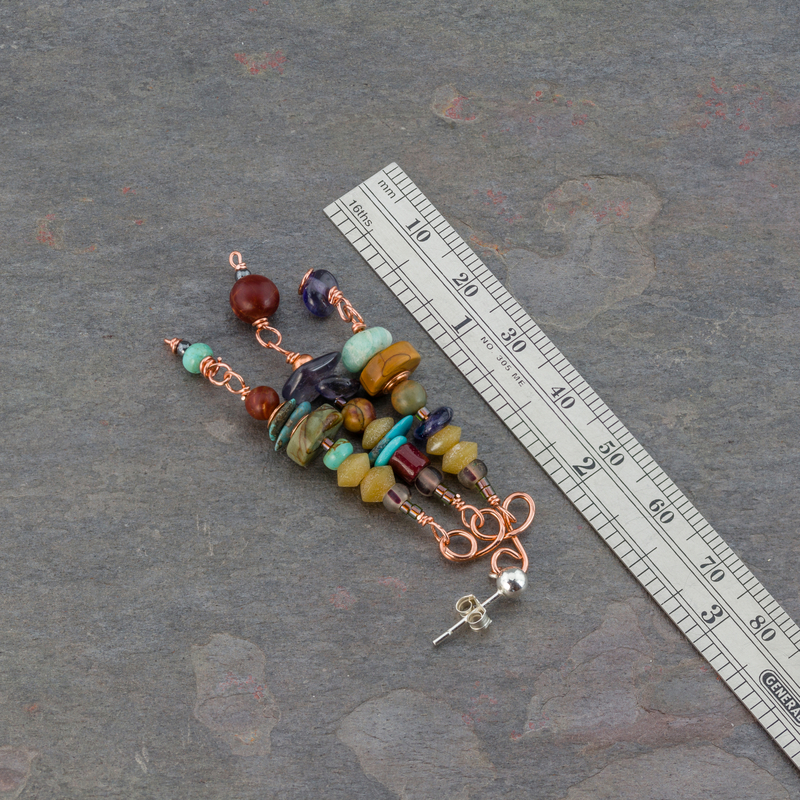 Three beaded dangles swing on copper wire work bodies hung on sterling silver ball post earrings. The stones are all different shapes and textures in an earthy palette of gray, brown, red, and blue. 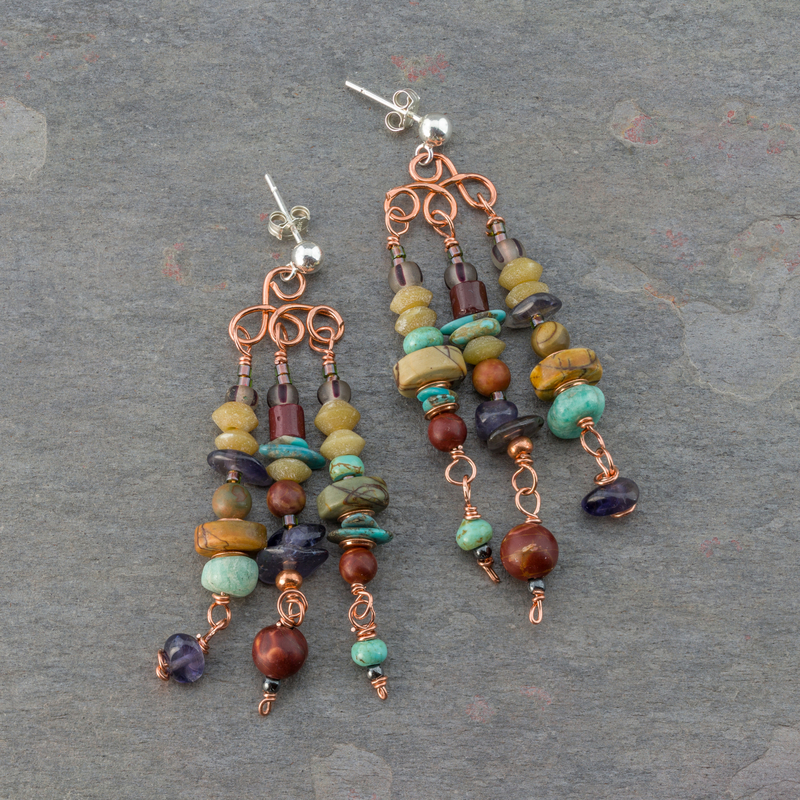 These multi stone earrings with Bohemian style, are a bold and showy pair that will get you noticed. 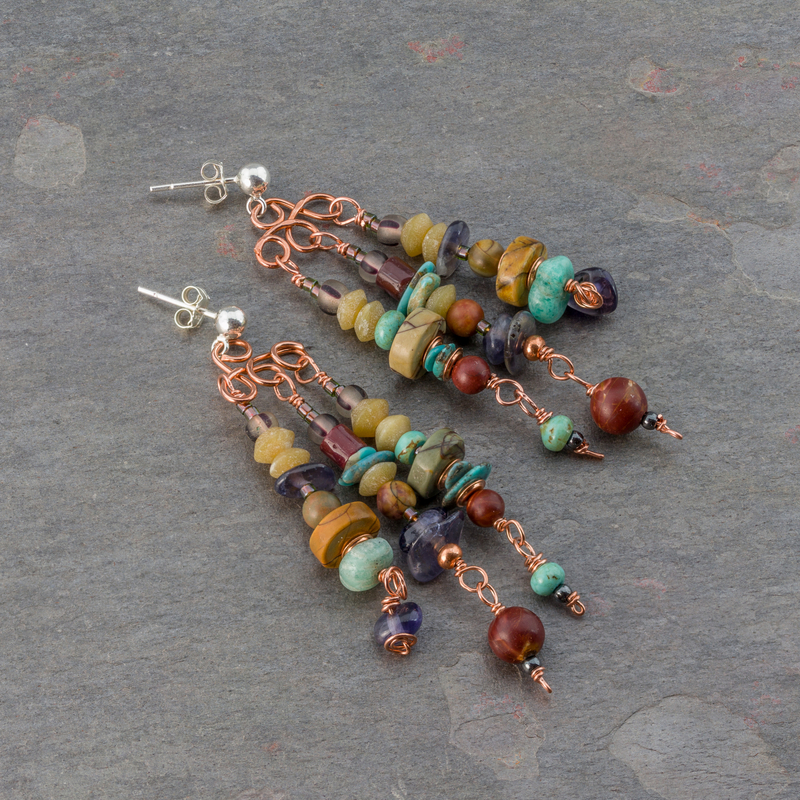 And if you're like me and think jasper and turquoise are the perfect match on Earth, then you'll love these boho stone dangle earrings.